Letter Size Quick Index Tabs Custom Binder Index Tabs  : BindersNow.com, Quick, Easy & Online! 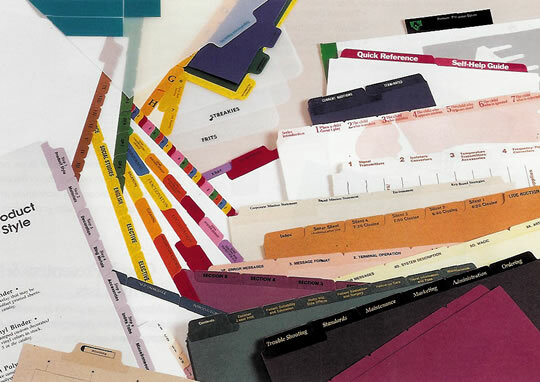 Custom tabbed index dividers are the perfect match to your custom binder. Add index tabs to your binder for quick access to reference materials, divide sections, and customize your presentation. 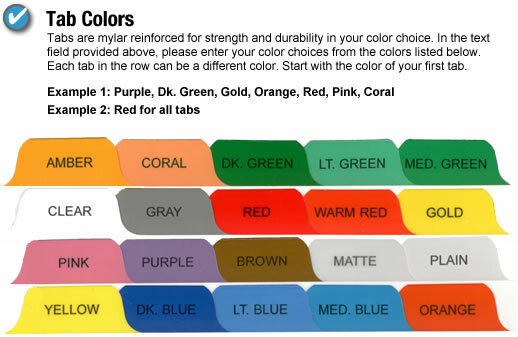 Your Custom Tab sets: Pick from the many options below to create the custom tab set that's perfect for your needs. To get an INSTANT QUOTE just choose the options you want. Then add the quantity of sets you want and hit the "add to cart" button to see what your unit price and total price would be. 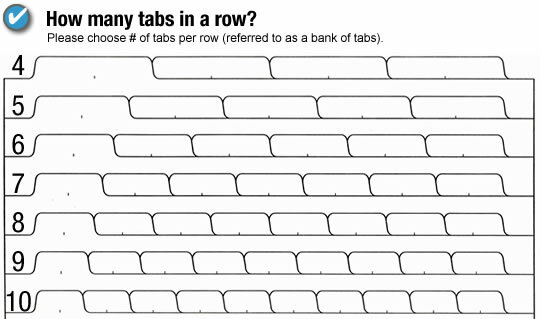 When you've decided what you want to order, simply enter tab headings and other options below and BindersNow.com will send you a tab proof for your approval. Like most things, the more you buy the better the pricing gets.